I would have wanted to pass by Tabaco City for our quick bath in Vera Falls in the nearby town of Linao, but the city's old town vibe was a quick embrace. I just wanted a night in Tabao for a quickie to its historic landmark like the church and the old houses scattered in the small city. 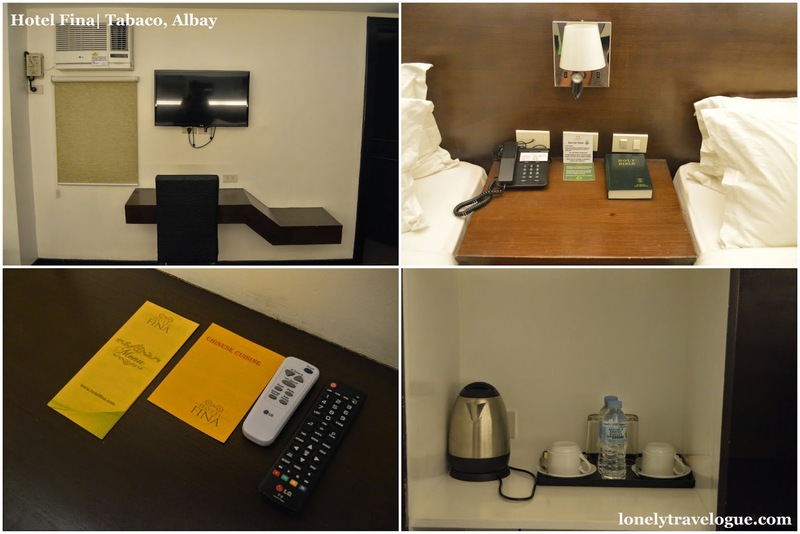 I was looking for a place to stay in Tabaco Albay when some friends recommends Hotel Fina located in the downtown of the city. 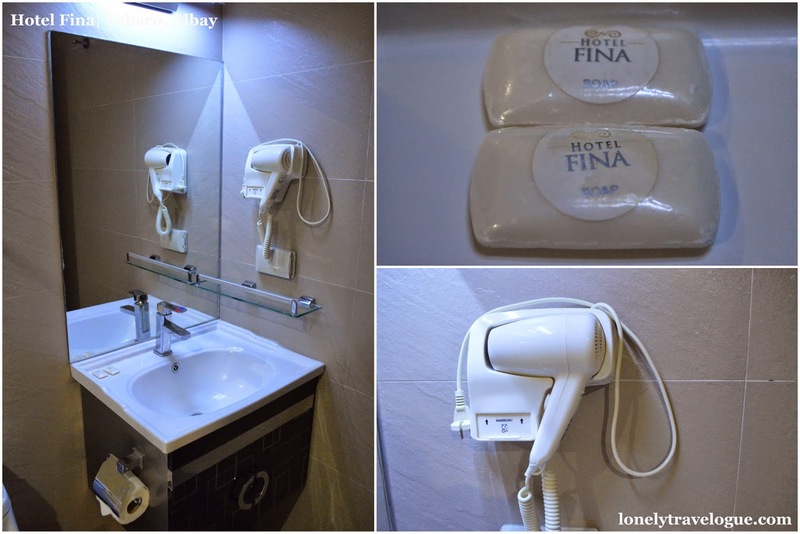 Sandwich by Tabaco City's malls and fresh good-filled market, Hotel Fina's location is very ideal for both short stop vacation or long term vacation. When you enter the lobby you will experience elegance in style and a good service offered by the staff. The hotel has a modern style of architecture. They use glass chandelier to boost the charm of the hotel. Our room was simple but comfy enough to have a good sleep. It has all the amenities that we need from the complimentary coffee to toiletries. The bed was the highlight of my stay mainky because its cute and the linen used was smells fresh and very soft thus is very inviting for a sound and good sleep. During our visit was the wake of Lee Kwan Yew's death. Being a history and development buff I can't help to stay in my bed and just watch the worldwide news coverages and documentaries about the father of Singapore. Good thing though that Hotel Fina has an extensive cable from local and international networks. Hotel Fina has something that a six star hotel cannot offer - the view of the majestic Mayon Volcano. On its roof deck is a swimming pool that has the spectacular view of the cone shaped volcano called Mayon. While you enjoy the cool water of the pool, mesmerise your eyes by the beautiful Mayon Volcano. Its time to hit the road after some rest and nap - thanks to the comfy bed and clear cable signal. Good thing with Hotel Fina is that they offer an open air service vehicle that can bring you to the church up to the port. Bad news was, during our visit the driver was not available. Good enough Tobaco Albay has a lot of pedicab that can tour you around the city. For just minimum of Php5.00 per person, the pedicab diver can drop you in the place you want for selfie of just bum around with the local.